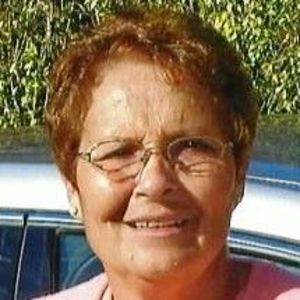 BREMEN - Sue C. Beliles, 71, of Bremen, died Wednesday, July 13, 2016, at 11:40AM at her home. Mrs. Beliles was born November 4, 1944, in Indiana. She was a seamstress at Red Cap, and a member of Forest Oak Baptist Church. She was preceded in death by her husband, Jackie Beliles. She is survived by her daughters, Pam (Jeff) Pendley of Drakesboro, Angie (Jon) Inglis of Lewisburg, and Amy (Scott) Layne of Bremen; grandchildren Kayla, Tyler, Alison, Jared, Caleb, and Blake; four great-grandchildren; brother Ronnie Drake of Belton; sisters Shirley Dukes of Beechmont and Lenora Link of Indiana; several nieces and nephews; and beloved dog, Jack. Funeral services will be Saturday, July 16, 2016, at 11:00AM at Tucker Beechmont Funeral Home, with Rev. Vernon Cook officiating. Burial in Union Chapel Cemetery. Visitation will be Friday after 5:00PM at the funeral home. Online condolences may be made at www.tuckerfuneralhomes.com. Sue was in my Sunday School class at Cedar Grove for a while, we all loved her. I am sorry to hear of her passing. Prayers for her family. Angie,so sorry for your loss. Prayers for Sue's family and friends. Sue and I were good friends when she lived in Gary IN and we attended the Baptist Church in Hessville IN. I am Mr. & Mrs. Gossage's grandaughter. So sorry to hear of her passing. I have several memories of Ms. Sue, as a child I knew her from the neighborhood where we lived. I remember sitting in the plum tree watching the cars go by Ms. Sue and her family would always wave at me as they passed, and her mother-in-law went to church with my grandmother. Then when I grew older and started working we rode together when we worked at Red Kap. I always loved her smile and her laughter. So sorry to hear of her passing. My prayers and thoughts go to her family.